OMG! It's perfect, I love it!!! I leave my footprints in the first page. The song is amazing. Hope she wins back the old fans and this becomes a hit for her! So obviously it's not going to chart this week with just a few hours (maybe in some downloads charts). question... does it count when you have the song on repeat on spotify or does spotify only count 1 play... until you play sth else? Only a limited number of plays a day are counted... 10 per day or something like that, if I remember correctly. I hope the song rises a few notches in Germany. ^^ Thanks for the info! It needs to hit the top 20 in order to have a chance of charting ... i doubt it will tho. But hope dies last. Yes it's counted as a stream, but official charts like billboard only count so many streams for IP address or account details. So confirmed this is a "buzz" and the "real" 1st single "With You" to be released next 5 October. Today, incomparable, multi-platinum, multiple Grammy award winning global superstar Mariah Carey (the best-selling female artist of all time with 18 Hot 100 #1 hits) returns with the first taste of her new music, "GTFO," available worldwide now. The new song is a tempting first helping from her upcoming new album, due out later this year, whetting fans' appetites for the album's stunning kickoff single, "With You," scheduled for an October 5 release. Both tracks are from her upcoming 15th studio album, her first studio album since 2014. "GTFO" is produced by Grammy nominated/multiple ASCAP award winner Nineteen85, who has worked with Drake and Jordan Manswell (Daniel Caesar), among others. An early treat for fans, atmospheric beats abound on the new track, with Mariah finding even more nuance in her seamlessly-spun vocal repertoire, her velvety, middle-range virtuosity once again dazzling in breathy hues. The sultry track is the first serving of new music from the acclaimed singer/songwriter/producer since inking an exclusive partnership with her imprint Butterfly MC Records and Epic in the spring of 2017. Mariah will share the music video for the new song tomorrow, September 14. The clip is directed by Sarah McColgan (Kelly Clarkson, Charli XCX). Her official single, "With You," which arrives on October 5, seductively sets the stage for Mariah's eagerly anticipated album coming later in 2018. The announcement of the new songs, coming on the heels of her much-heralded Las Vegas Residency, ‘The Butterfly Returns,' marks the impassioned return of one of the most revered and identifiable voices in pop history. She's also putting the finishing touches on her forthcoming album. The flurry of creative activity has turned up the buzz with her enormous social media following, heightening the unbreakable rapport between the personable star and her avid fan base which she affectionately refers to as her ‘lambily.' 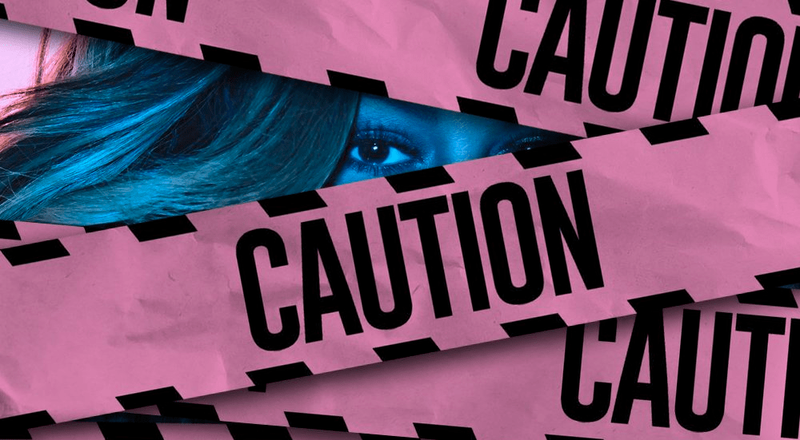 "I wanted to give my fans and everyone a first listen that wasn't so serious," says Mariah. "I've had so much fun making this album, and I wanted the first moment to reflect that light-hearted spirit." Mariah's enthusiasm extends to her recent live endeavors. The multitalented star finished up her Caesar's Palace residency on September 10 to rave reviews, and will be performing at the eighth annual iHeartRadio Music Festival at Las Vegas' T-Mobile Arena on September 21. A range of unique promotional ventures are in the works for fall, surrounding the October 5 "With You" release and subsequent video, with more surprises in store for fans to close out the year. 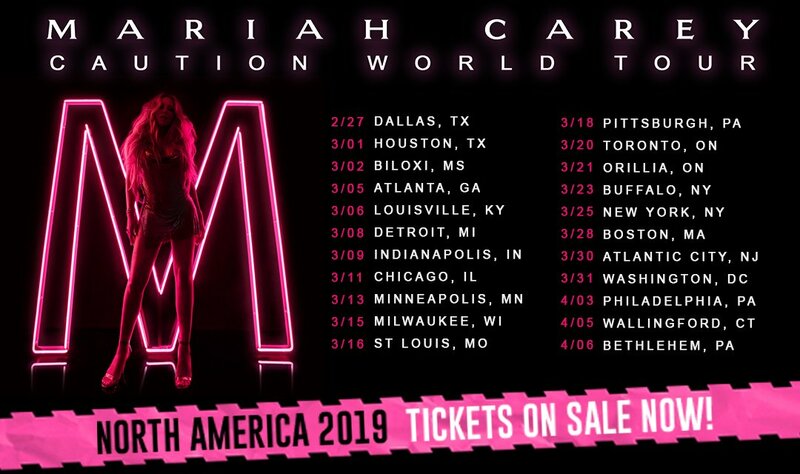 Mariah has also announced plans to continue ‘The Butterfly Returns' headlining show at the Colosseum in Caesar's Palace in February of 2019. Exhibiting a transcendent vocal ability, irrepressible staying power and unparalleled body of work that only a handful of artists in the modern era have achieved, Mariah Carey is poised to deliver via Epic Records/Butterfly MC Records one of the most accomplished albums of her incredible career. I could cry so happy I am about the news. I usually despise buzz singles... (as a promo tool) bc it kills anticipation for the next single... so I can only hope that the realy first single is going to be epic and gets ALL the promo love. I found houndreds of post with #1 on Twitter. Maybe it was a mistake or needsono to update. Well, there's a picture on Twitter claiming she's #1 but it's on iTunes POP chart, not the main chart.